At least one time in life every person has dreamed to control the fortune of nations. 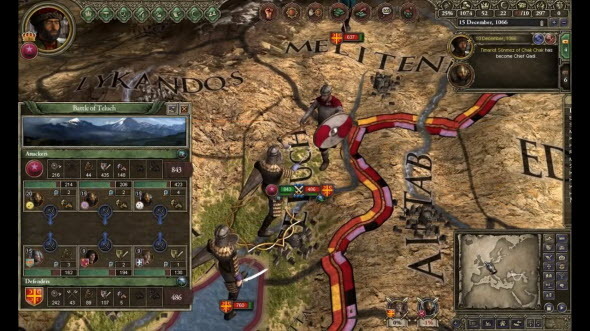 The Crusader Kings - grand strategy game - gives you an opportunity to feel yourself like a ruler of the Medieval world. 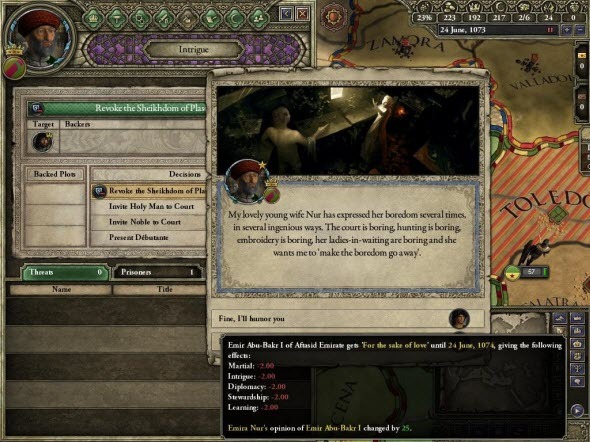 To describe Crusader Kings in two words, we can say that it is a dynasty simulator where the players are able to change the march of history due to wars, marriages, partnership and many other events. After the huge success of the first game's version, on the 14-th of February, 2012 the Crusader Kings II was released. 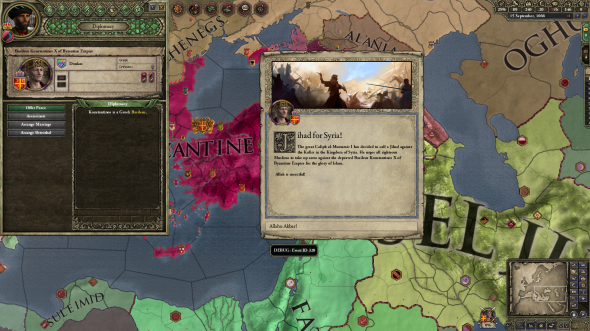 The game is updated through patches, and this time we will speak about the latest addon to Crusader Kings II - Sword of Islam. 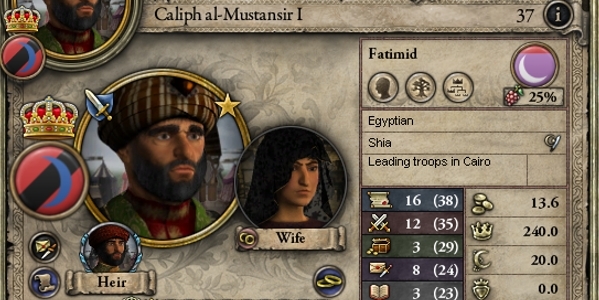 As you remember, in Crusader Kings II you can play only as a Christian king or lord, but Muslims were always from the other side. With Sword of Islam the developers fixed this misunderstanding, so now you are able to manage the whole Muslim world. Will it be difficult? Maybe. But definitely, it will be very exciting. We need to give the developers credit for the diligence in creating the atmosphere of the game. Everything in Crusader Kings II: Sword of Islam, from the menu to the music, reminds the Muslim culture. Here you will face the problems of the Islamic world and find a lot of peculiarities of this specific nation.The confrontation between Shiah and Sunni - two different religious groups, the Harems, Hadj, Arabic titles, piety and a lot of other special features are waiting you in this addon. The first interesting option you need to keep an eye on is the decadence system. If the prestige of the ruler is decreasing, your people are not going to pay the taxes. Also with the prestige the morale of the troops becomes lower and lower. In this case your game is almost over, because the dynasty has no money and can't win the war. When your "prestige-o-meter" shows high values, the people love their ruler, and your empire prospers. To be the successful governor you need to control your personal life, look after wives and children, be pious, make Hadj or learn the Koran and wage religious wars. The personal life of caliph plays the significant role in the game. And your personal life really differs from the European one. In Islamic culture the polygamy is the norm, so you can afford four wives at the same time. But with four-times bigger love, you will get four-times larger troubles. Each your spouse sure that she should be the beloved wife, and also wants her son to become the heir to the throne. The passions are boiling up, and the intrigues are everywhere. Be sure that you have reliable family, because sometimes the closest people may be the most dangerous enemies. The Islamic laws of inheritance are very flexible and they differ from the European ones. To be the heir to the throne, the person needs to be authoritative and rich. Of course, you can give a lot of lands to one of your sons, but if he loses these lands, your prestige will decrease significantly. That's why generally the heir is a random person, so after the death of one ruler, the course of the empire's development may be totally changed. By the way, the women can't be the ruler of Islamic country. When you regulate your personal life, you will think about the wars. 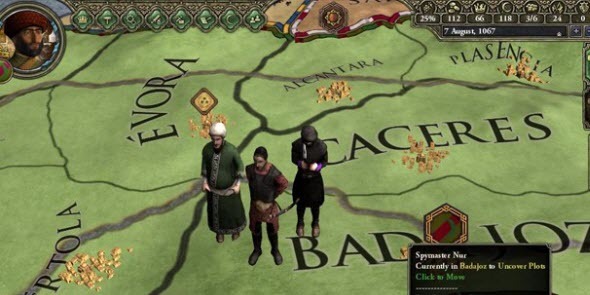 In Crusader Kings II: Sword of Islam the developers prepared several new combat features to make your wars as impressive as possible. Now the ruler can have the specialization, for example, the Cavalry or Heavy Infantry. With these ability, the commander has the preference in some types of combat. Also together with the standard skills you can boost up another combat traits, e.g. brave or craven. These traits influence not only on the commander, but also on the whole army. Note this interesting feature when you will decide to conquer new lands. It goes without saying, that the developers did their best, trying to reconstruct the mood and flavor of Islamic world. Not only the personages and events gained special Muslim colour, but also every map, melodies, dialogue and even each line in the menu was changed significantly to bring players the most exciting and bright gaming process. By the way, this addon has quite reasonable price.